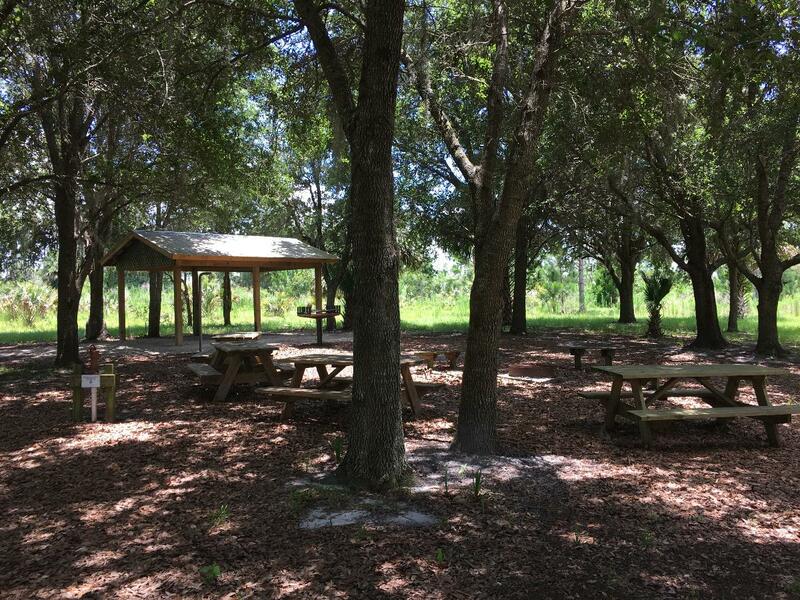 This site is easily accessible and within a short distance from the Lemon Bluff trail head. 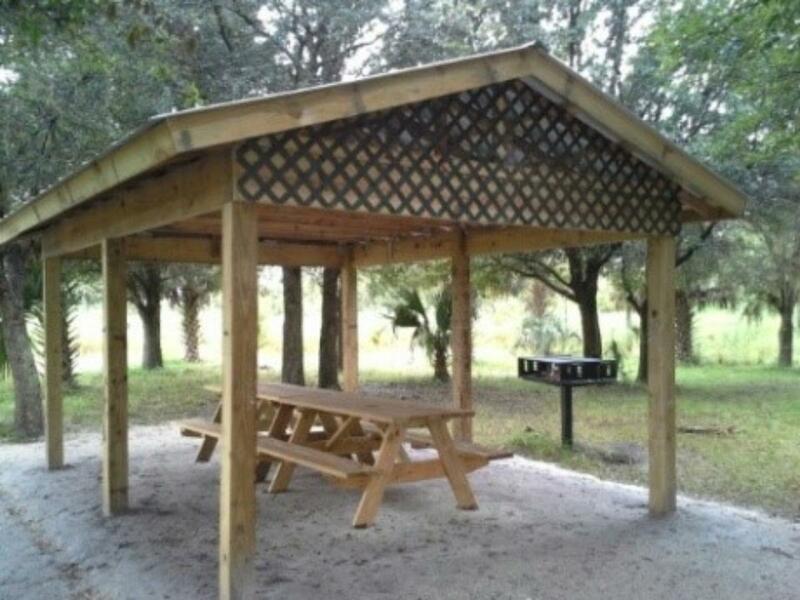 Located in a shaded oak hammock, this group site is equipped with a fire ring with grill, 3 benches, a covered pavilion with one picnic table, and plenty of tent space. There is also a non-potable water pitcher pump and portalet next to the campsite. Limited vehicular access is permitted with reservation. You are not allowed to drive anywhere else on the property for any reason. Gate access to the campsite is located on the south side of Lemon Bluff Rd., approximately 1/2 mile east of Hwy 415 (Tucker Rd. is on North side of Lemon Bluff Rd.). The gate is right on the side of the road so you should make arrangements to arrive together, because gate must not remain open or unlocked. It is also safer to have one person open the gate and hold it while the others drive in. 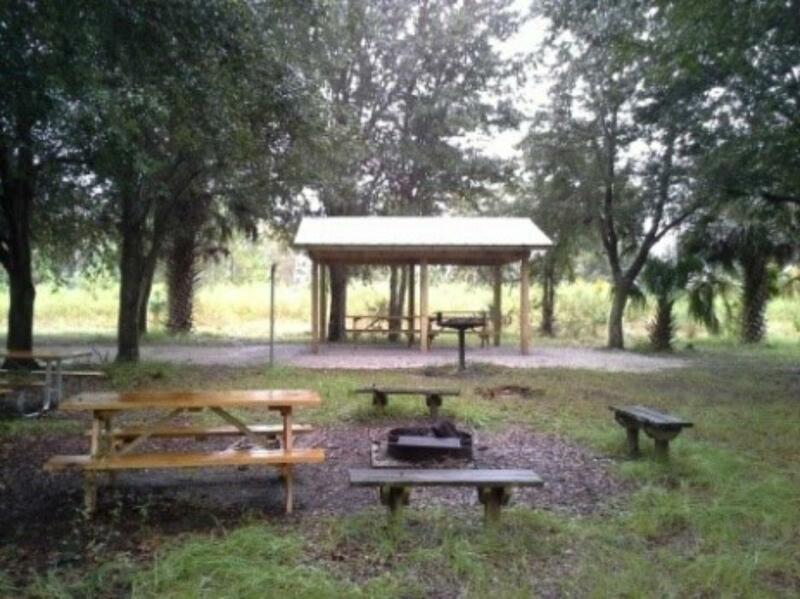 Once inside the gate, the campsite is approximately 300 yards inside the property on the right after the parking area.